Introducing the They Don’t Love You Like I Love You Shawlette pattern, fresh off the presses and live on Ravelry if you follow the link. It’s coming soon to my Etsy shop as well. This is a cheerful shawlette also known as the Love Shawlette. Perfect for brightening up urban landscapes with its bright stripes. 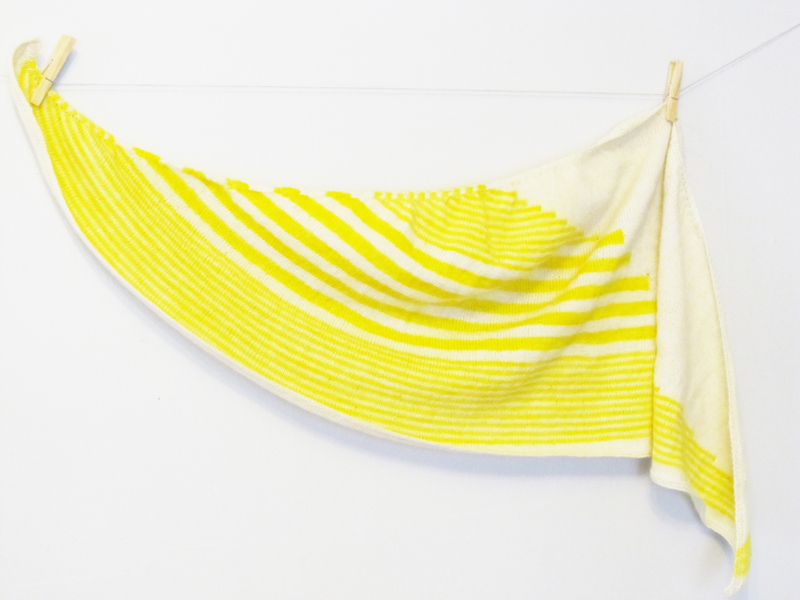 I used Rain City Knits Superwash Sock yarn for this project in Natural and Lemon Yellow, and I love the result. Depending on how you block your shawlette, you can have either a triangle or semi-circular shape. Tricky, I know! The pattern is live on Ravelry and will be 20% off through May 1st. Thanks again to everyone who test knit for me, and thanks again to my technical editor.